Many of us have allowed ourselves to be fooled, faked and FOXed into giving up our sacred inheritance: the right — and responsibility — to know. That’s what the cop is said to have told the reporter when he stopped her and demanded I.D. She says she gave it to him and told him she was working on a story. Whereupon, she says, he threatened to arrest her. Obviously, he was not overly concerned about that pesky First Amendment. 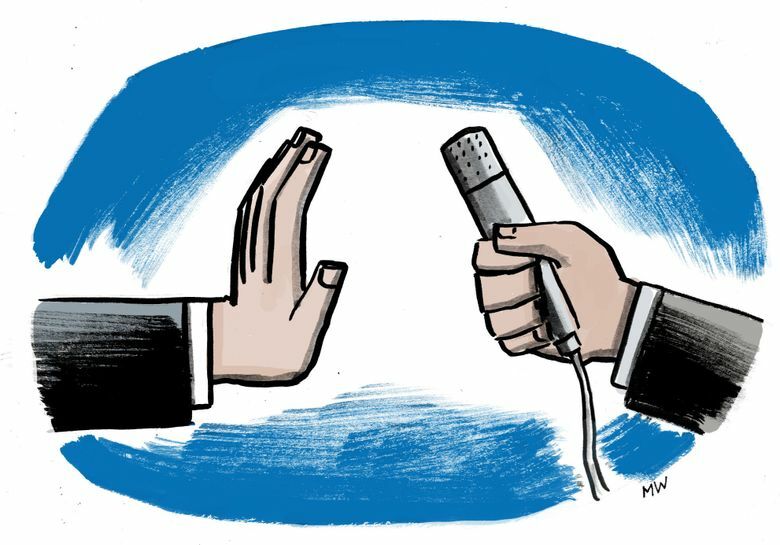 The abuses include: President Donald Trump bullying reporters and ducking as “fake news” any truth he doesn’t like; a Trump supporter attacking a BBC cameraman; then-congressional candidate Greg Gianforte body-slamming a reporter; police in Ferguson, Missouri, arresting reporters on specious charges during the uprising there; journalists harassed and/or detained in Iraq, Nicaragua, Venezuela and the United States; 54 journalists killed around the world last year, including four (the fifth victim was not a journalist) in Annapolis. Then there’s the more insidious threat posed by Alden Global Capital, a New York hedge fund with, according to The Washington Post, “investment funds domiciled in the tax-lenient Cayman Islands and a clientele that is mostly foreign.” Through a subsidiary, Digital First, it has bought up nearly 100 newspapers, including the Mercury News in San Jose, the Post in Denver and the Pioneer Press in St. Paul, laying off reporters, editors and photographers by the hundreds and, in the process, decimating coverage of those communities. In effect, it is hollowing out an already hollowed-out industry. These are, needless to say, hard times for the free press. If that concerns you — and it should — the confrontation between Marshal John Patterson and reporter Hilde Kate Lysiak will provide some needed consolation. Not just because she stood up to him, but also because she’s 12 years old. You may think it fanciful to call someone her age a reporter, but you’d be wrong. Hilde joined the Society of Professional Journalists as its youngest member in 2016. As publisher and editor of the Orange Street News (orangestreetnews.com) from her hometown in Selinsgrove, Pennsylvania, she broke the 2016 story of a grisly neighborhood murder. She has since reported on bank robberies, alleged rapes and a rogue mountain lion. Obviously, Patterson was overmatched when he twice confronted her — the second was captured on video — and threatened to arrest her for following him on a bike, chasing news. “So how is that illegal?” she asked. He never answered. Instead, noticing that she was recording him, he told her it was against the law to post the video online. It wasn’t. Eventually, the cop drove off, muttering about talking to Hilde’s parents. Presumably, however, her parents — dad’s also a journalist — are proud. We are increasingly a nation of civic ignorance. Many of us have allowed ourselves to be fooled, faked and FOXed into giving up our sacred inheritance: the right — and responsibility — to know. “I don’t want to hear any of that freedom-of-the-press stuff.” That’s what they say in Iran or Venezuela. But Americans are supposed to know better, supposed to understand that a free flow of information is the lifeblood of democracy. Unfortunately, that’s a sacred truth many of us have forgotten. Thankfully, one of us, at least, has not.